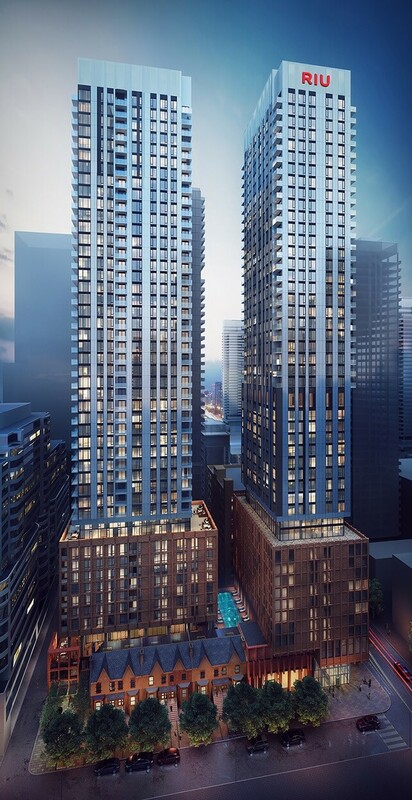 It was recently announced that RIU Hotels & Resorts will be opening a two-tower project in Toronto’s Financial District! The spanish company has resorts around the world, and this will be their first in Canada. The project is expected to cost approximately $100 million and will be part of the Riu Plaza line of urban resorts. The towers are nearing the end of the design phase and is scheduled to open in 2021. The mixed-use buildings will feature 350 hotel rooms, meeting rooms, a gym, bar & restaurant, and the upper floors will be residential. 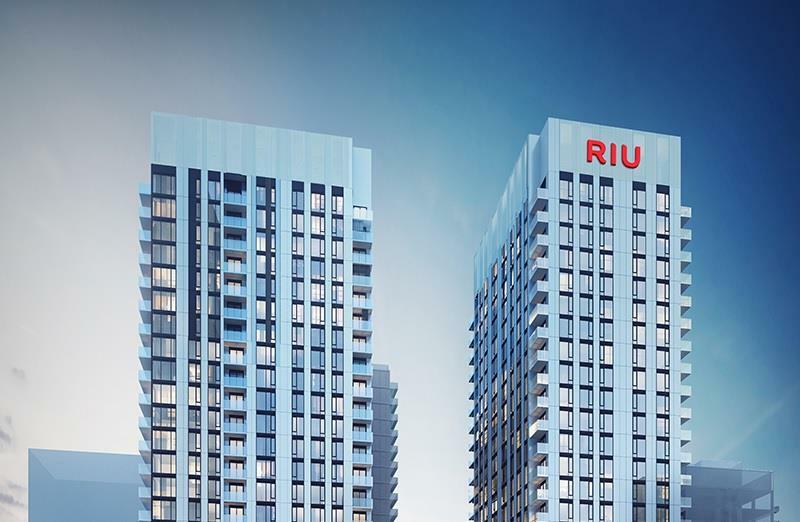 It has not been announced whether RIU will be partnering with a local developer and/or sales company to manage the residential portion of this development. The press release issued by RIU lists a few of Toronto’s main attractions, including the CN Tower, the Royal Ontario Museum, the Toronto International Film Festival, and mentions that Niagara Falls is nearby. The release also mentions the Thousand Islands, which is a grouping of 1,800 islands in the St. Lawrence River, but we wouldn’t exactly consider this close to Toronto. It’s about a three-hour drive, but definitely worth seeing if you like boating! A project like this is an example of Toronto taking another step towards becoming a more prominent world-class city. Canadians are very familiar with RIU because of their highly regarded resorts in places like the Bahamas, Panama, Spain, Morocco, Maldives, and many other tourist destinations. We are eager to see how many residential units are included, what the price point is, and how quickly they sell. We’re also interested in who ends up buying the luxury residential units. Will it be business professionals from overseas who need a place to stay when in Toronto? Maybe athletes or celebrities that frequent the city? We’re looking forward to watching the development progress!